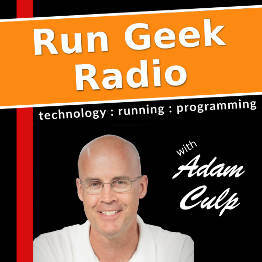 Adam Culp, the host of Run Geek Radio, relays his conference speaking plans for the next couple months. Following that he announces his plans to start training for the Keys100 in May. It has been more than 3 years since he has registered for a race, so really looking forward to this one. As long as he is able to continue training effectively through January he will register for it. The topic for this episode is how developers treat other developers and consultants, and how we should strive to stick to the facts, stay professional, and not get personal. He shares a story of a friend and the trials they went through because another developer, in their haste to convince the client of their value, went on the attack of the consultant. Adam Culp speaks about his new Varidesk standing desk and launches a giveaway of a Varidesk. Also covers some of the reasons a developer may want to stand while working, and the benefits of standing while working. He also gives some hints and tips related to introducing the use of a standing desk into your daily habits. He also mentions a new set of headphones he purchased to replace a broken set, and the various reasons why Plantronics Backbeat Pro was his choice. The main topic of firing a bad customer is then discussed by sharing possible reasons why a customer may be considered bad, how to communicate your intent, and some possible pitfalls that result from this potentially emotional event. Then the podcast is closed by launching a giveaway of a Varidesk Full Desk Pro.